Unique offset pivot design allows users to choose the range of motion best suited to their individual needs while the integrated curl bar offers multiple grip options. Five position seat uses four-bar linkage with gas cylinder assist for stable, low friction adjustments. 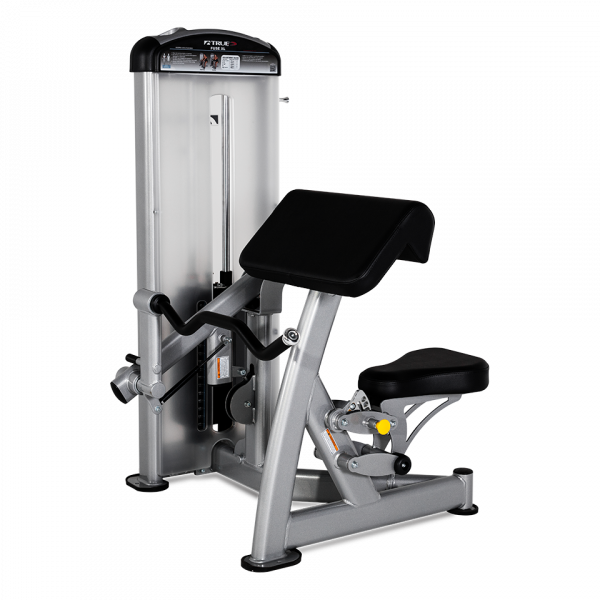 Unique offset-pivot design and counterbalanced arm assembly allow user to choose the range of motion. Multi-grip curl bar offers a variety of wrist positions for exercise variation.